For my niece's birthday, I invited her to stay with me for a couple of days so we could do some crafting and shopping. 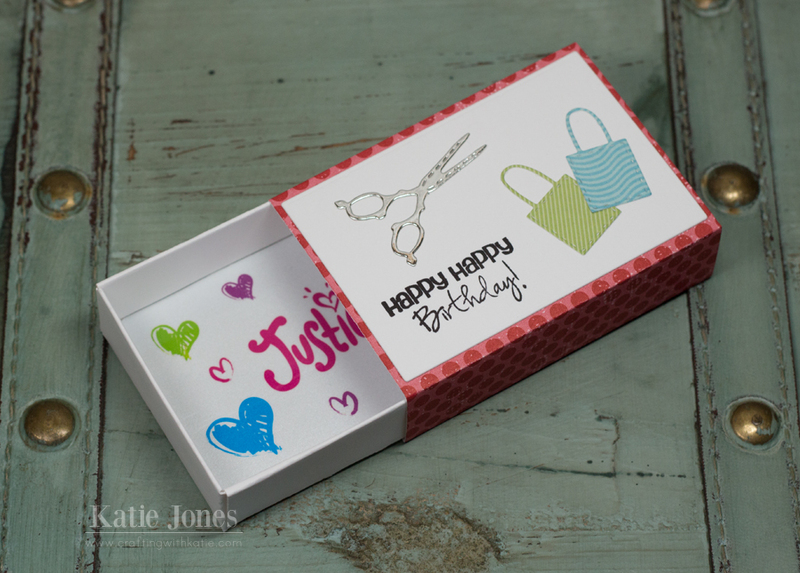 Since I was giving her a Justice gift card, I wanted to make a little gift card holder for her. I used the matchbox die from Papertrey Ink's All Through The House Make It Market Kit and decorated it with a sentiment from My Creative Time's Wow So Many Candles, scissors from MCT's Chunky Jar Accessories, and shopping bags from MCT's Classy Girl Accessories. The gift card fits perfectly inside! Here's a cheery birthday card! 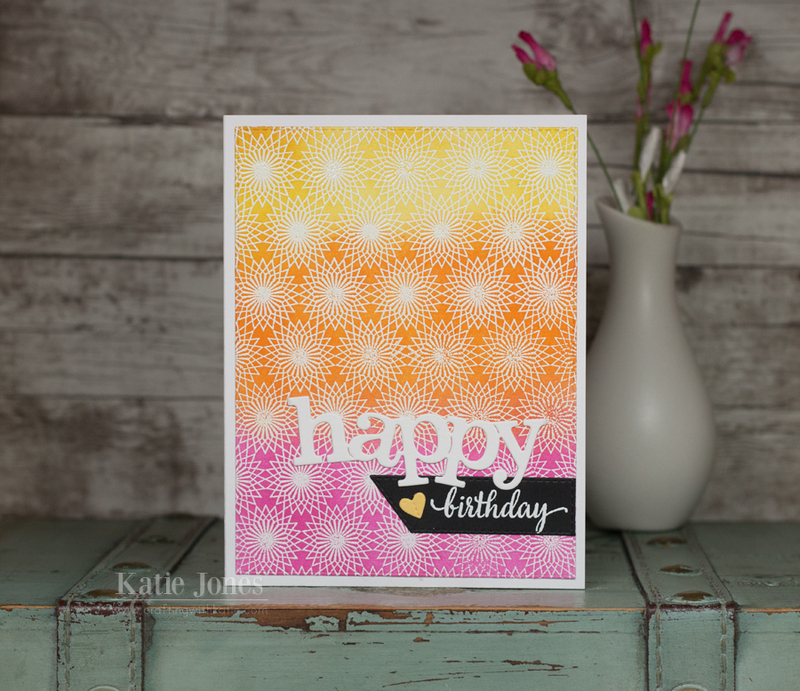 I used the Hero Arts Bursts Cling Stamp for my background, heat embossing it with white embossing powder. I then ink blended Tim Holtz Distress Ink in Picked Raspberry, Spiced Marmalade, and Mustard Seed. After that I die cut the piece with one of the Stitched Rectangular Frame Dies. 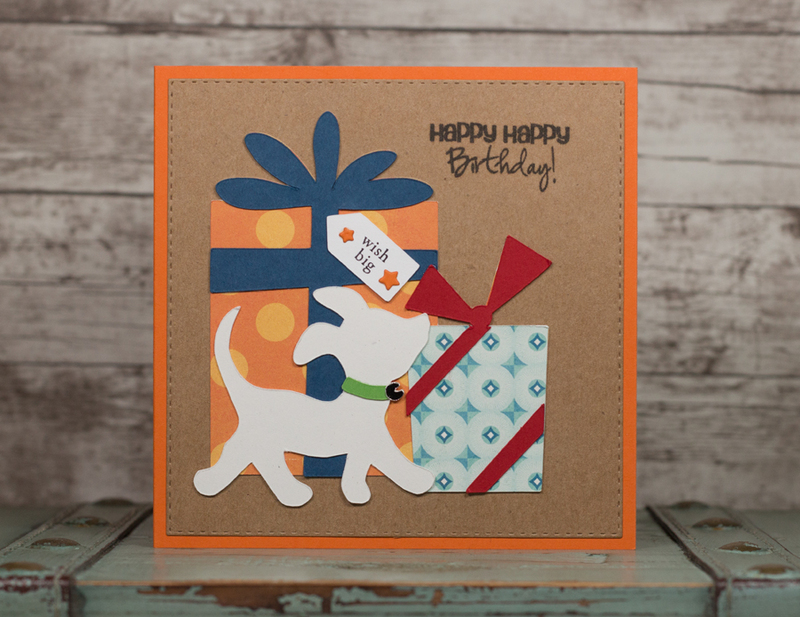 The cute "happy" die cut was made with the die from the My Creative Time Happy Everything stamp and die set. I heat embossed the coordinating sentiment onto a piece of black cardstock that I die cut with one of MCT's Stitched Decorative Banner Dies. I hope you all had a wonderful Christmas! I have a birthday card to share today that I made for one of my students who recently got a puppy. I used my Cricut Explore for this one, using a cut from Christmas Gifts for the presents and Nate's ABCs for the puppy. The sentiment on the tag is from Papertrey Ink's Tiny Tags, and I added some stars from the My Creative Time 4x4 Journal Die + More. The "Happy Birthday" sentiment is from MCT's Wow So Many Candles, and I die cut the background with MCT's Stitched Square Dies Inside & Out. Here is my last Christmas card of the season. For this one, I used My Creative Time's Stitched Rectangular Frame Dies & More and Stitched Postage Frame Dies to create the background layers. 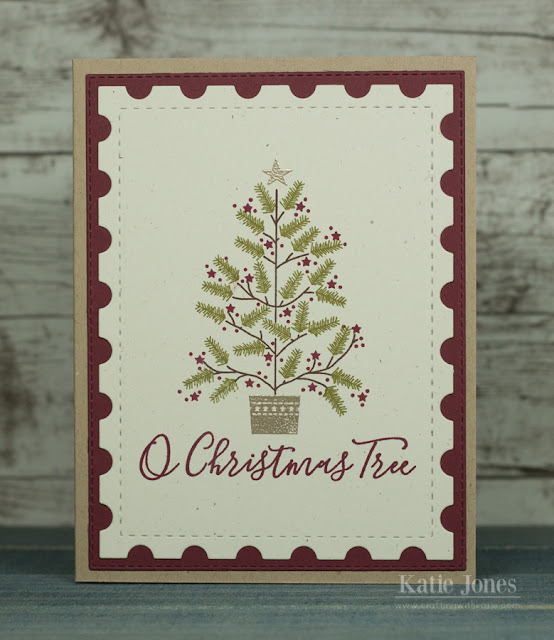 I then stamped the sentiment from Concord & 9th's O Christmas Tree and the tree from Papertrey Ink's O' Tannenbaum. 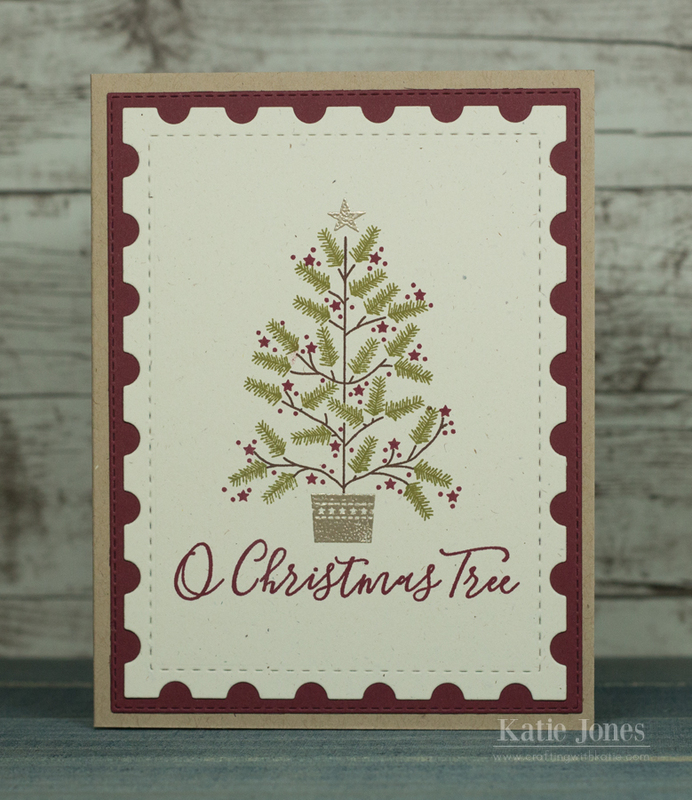 I heat embossed the star and the pot with platinum embossing powder to give the card some shine. I hope you all have a very merry Christmas!!! 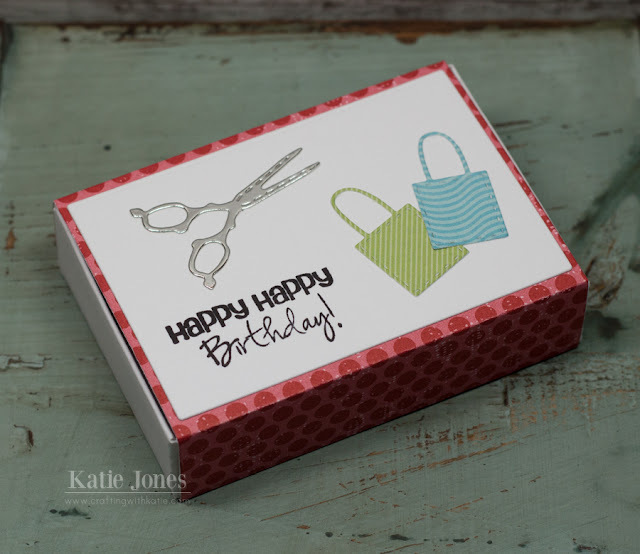 MCT 62nd Edition Release Blog Hop!